Walt Disney Animation Studios presents a chilly twist on one of the most humorous and heartwarming stories ever told. �Disney Animation�s best since The Lion King� (William Bibbiani, CraveOnline) will melt your heart. 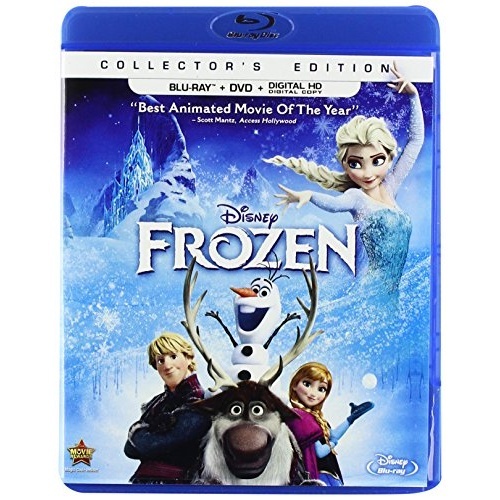 Fearless optimist Anna sets off on an epic journey � teaming up with rugged mountain man Kristoff and his loyal reindeer Sven � to find her sister Elsa, whose icy powers have trapped the kingdom of Arendelle in eternal winter. Encountering Everest-like conditions, mystical trolls and a hilarious snowman named Olaf, Anna and Kristoff battle the elements in a race to save the kingdom. 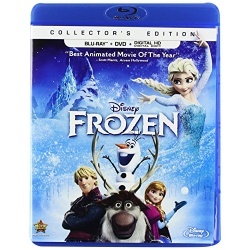 Bring home Frozen on Blu-ray High Definition � featuring a blizzard of never-before-seen bonus extras with gorgeous animation, memorable characters and unforgettable music. It�s dazzling fun for the whole family!